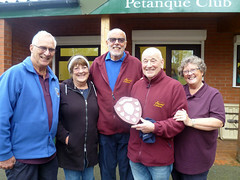 This year’s Sherwood Shield Competition has been won by Mansfield Petanque Club who narrowly beat Arena Petanque Club to lift the trophy. Congratulations to Mansfield PC and thanks to all the competing clubs for giving us such a great head to head series and final match day. 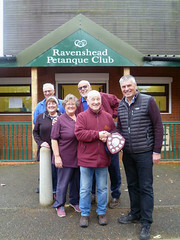 Thank you to Martin, Steve, Di and all at Ravenshead PC for hosting the final match day. 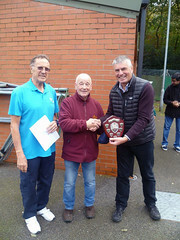 Please follow the link below to download the September 2018 newsletter from Petanque England. 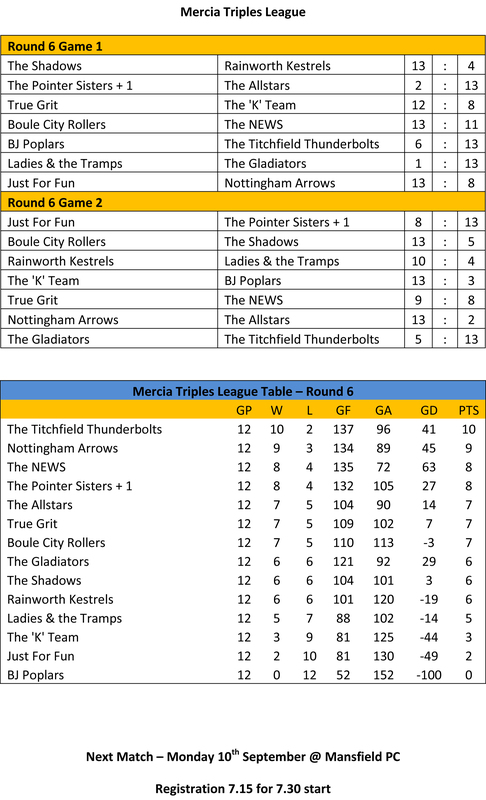 Congratulations to The Titchfield Thunderbolts who have won this year’s Mercia Triples League and to Nottingham Arrows who were runners-up. Our thanks to Mansfield PC and Nottingham City PC for hosting all the rounds, and to all the teams who made this league such a great success. 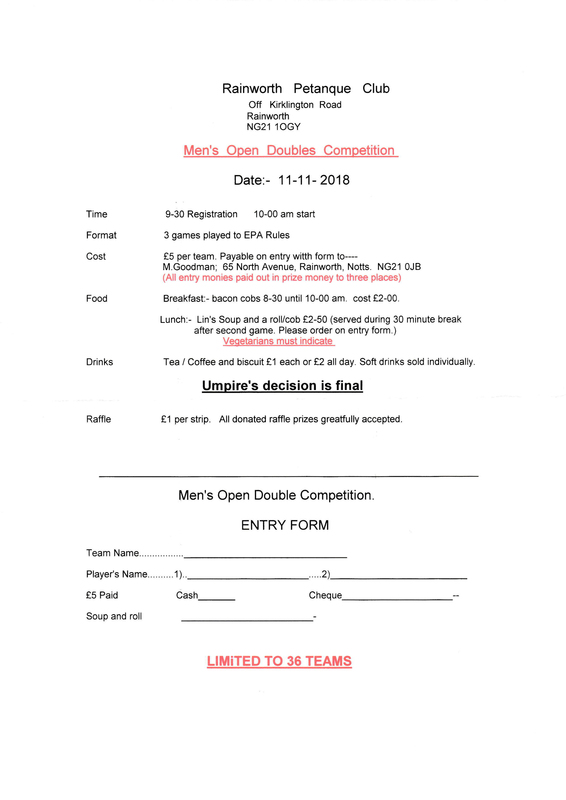 Please give your support to Rainworth PC’s ‘Mens Open Doubles Competition’ on Sunday 11th November. 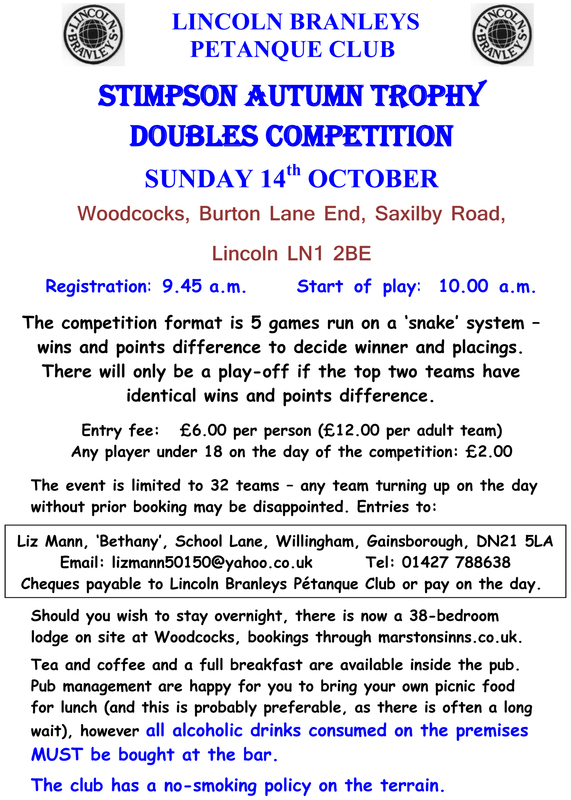 Please give your support to Lincoln Branleys ‘Stimpson Autumn Doubles’ competition on Sunday 14th October. Please give your support to Bourne Abbot PC’s BIG Melee on Sunday 7th October. This year’s winter league starts on the 28th October at Mansfield. For the 2018-19 winter season, each club brings two doubles teams & one mixed triple plus substitutes. The round robin format is employed and this year 50 minute timed games are being used to ensure that all rounds are synchronised. Points are accrued over every match day and carried forward to the final competition match day where the club with the most wins over the series will be crowned as champions (See competition rules). The fixtures and dates can be downloaded using the link below. 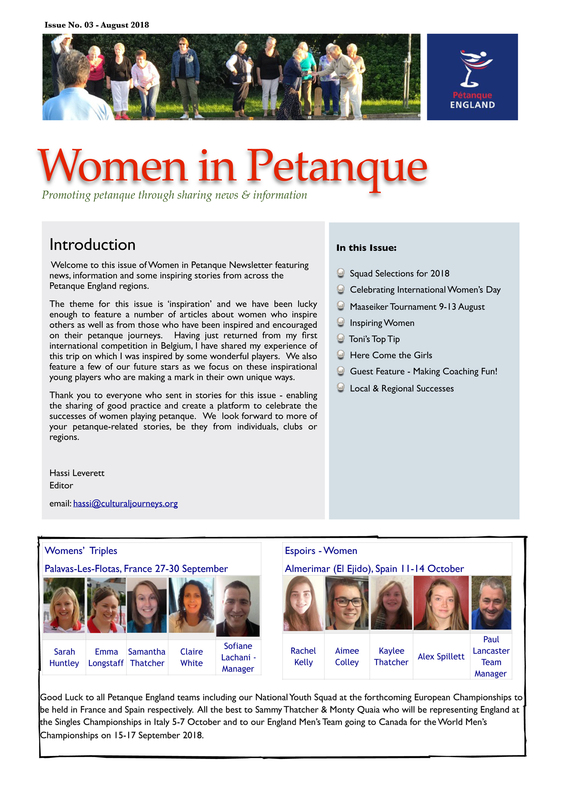 Please open the link below to read the ‘Women in Petanque’ August newsletter. The attached table shows the results after the completion of the individual head to head rounds. There is one final match day on Sunday 21st October where a further 4 match points can be won by each competing club.